Do you have a list of book recommendations for building character and vocabulary? My son reads about 200 to 300 pages a day and I cannot keep up with the previewing. G.A. Henty novels – G.A. Henty was a war correspondent and historian who began telling stories to his own children over a hundred years ago. His novels are based very carefully on historical events. Great for learning history, geography and how to be a man. There are dozens of them and your guys should read them all! They are challenging reads, though, so for many boys, they are more enjoyable in audiobook form. We love un-abridged audiobooks because that challenging vocabulary and sentence structure builds reading comprehension and mental strength. You can now buy those here in our store, we’re the only authorized resellers of our favorite audiobooks. 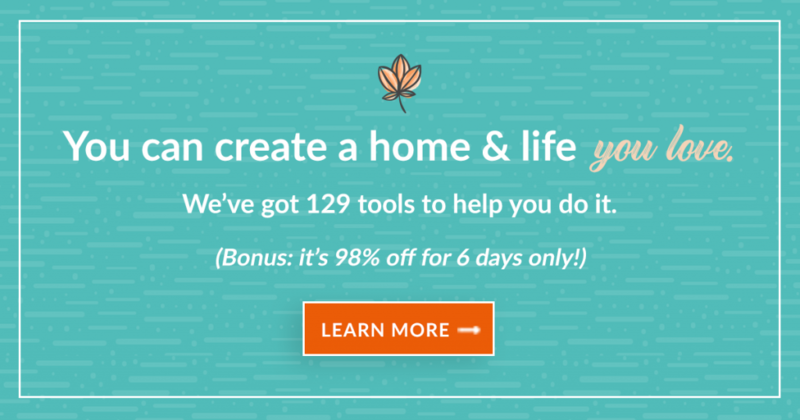 Click here to get them. The only caveat at all we have is that he used the language of his time and a few words have changed meaning or value over the years. Just tell your guys to bring you anything that doesn’t sound right (and you can mark through it or change it!). Sugar Creek Gang series by Paul Hutchens – Based on his life growing up with six brothers, the Sugar Creek Gang is a great way to show your boys what it means to be a Christian as a boy. Fun, funny, and enjoyable, these are an essential part of childhood in our family. We don’t like as much the new series by Pauline Hutchens Wilson and Sandy Dengler – they are updated to fit modern culture and lose much of the charm. These are aimed at younger guys than the Henty novels. We love the audiobooks for listening to in the car. We have just starting carrying these! Click here. Jungle Doctor series by Paul White – These are absolutely fascinating! 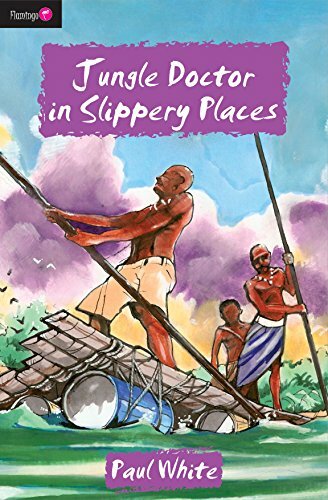 The account of a missionary doctor in Tanzania, these books are very respectful of the indigenous peoples without pulling punches toward their enslaving false religion. Boys will love the grosser aspects of life in the bush. Exciting, funny, and engaging. Ages 7 or 8 and up. Some stories are more alarming than others so reading aloud is great if younger children are around. Here’s a whole bunch of them! Childhood of Famous Americans series – Tells the stories of the childhood of many of our American heroes. Our guys just love these at about 8-10 years old. There are a very few about folks I don’t consider heroes. Some are out of print, some have been reprinted. You can find the reprinted ones here. 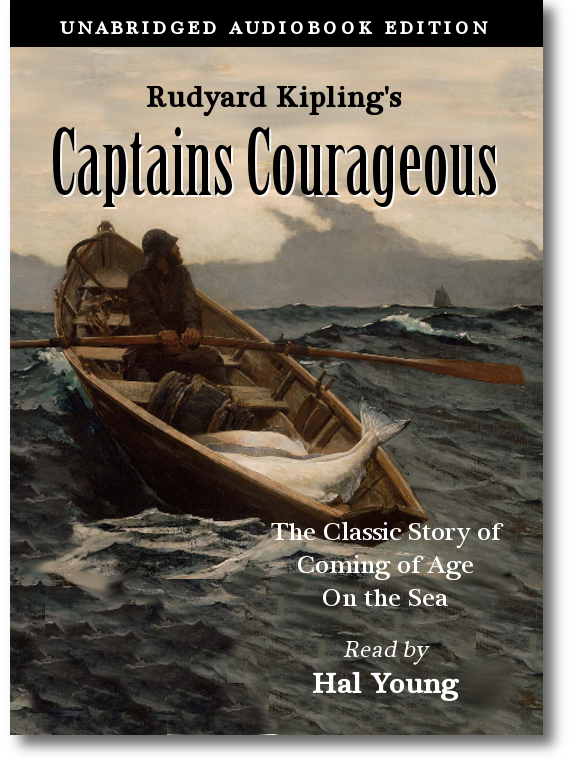 Captains Courageous is the story of a well-to-do boy who falls off an oceanliner and is rescued by fisherman who don’t believe his story. They conscript him as cabin boy and teach him the value of hard work. In the process, he learns to be a man. 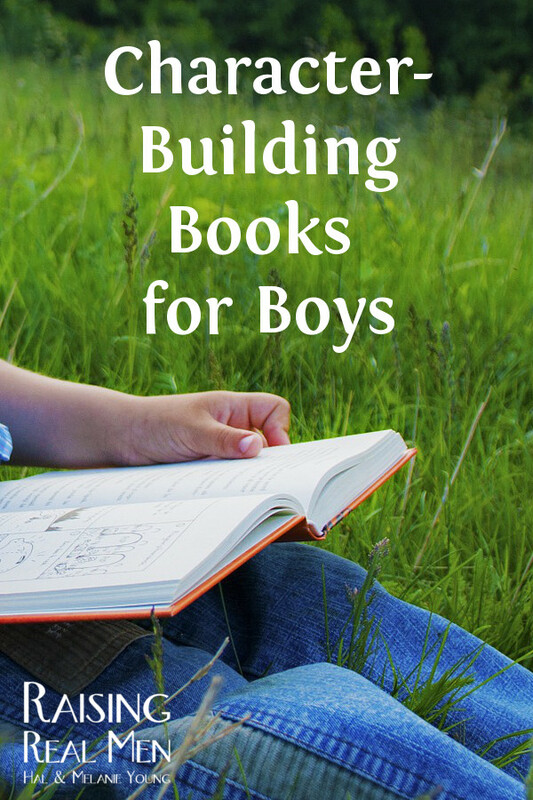 Our boys LOVE this book – that’s why we turned it into an audiobook. Landmark series – A most remarkable series of books about history written for children. The thing that makes them great is they asked real adult experts on each subject to write them. Irresistable. A very, very few mention evolutionary ideas – the ancient history ones. Again, some are out of print, some have been reprinted and you can find the reprints here. Little Britches series by Ralph Moody – The poignant, entertaining story of a boy whose father dies after they move to the West and how he helps support his family and then himself. He doesn’t always do what’s right, but he learns better! Great read alouds! There are some things you will want to discuss with your children, particularly after Ralph grows up, but still great. Get them here. Hero Tales from American History by Theodore Roosevelt (yes, the President) and Henry Cabot Lodge – written specifically to teach virtue and character through the stories of America’s own heroes. We loved these so much, we turned them into audiobooks. They’re a little challenging to read (written over a hundred years ago) so we added sound effects to keep their attention. Nothing like cannonfire and angry French mobs to keep boys tuned in. You can get these here at our site, too. Click here to get them. Swiss Family Robinson – Make sure you get the unabridged version; it was written by a pastor to entertain and teach his children and the full version is incredible. A terrific read aloud. Find the unabridged version here. Robinson Crusoe – Get the unabridged version for your older sons to read. Did you know the original version begins with Crusoe’s repentance and turn to God? It’s terrific! A more challenging read, and more suspenseful than Swiss Family Robinson. 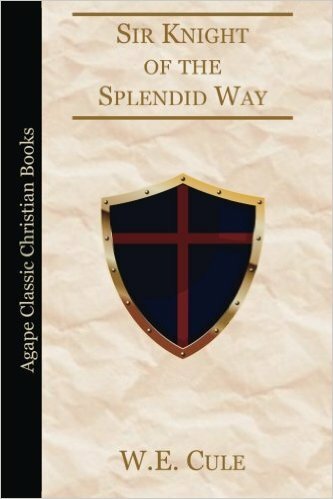 Sir Knight of the Splendid Way by W.E. Cule – An allegory along the lines of Pilgrim’s Progress, but more accessible to younger boys. They’ll love it. Get it here. Pilgrim’s Progress by John Bunyan – When we first handed this to one of our sons, we expected it would be too difficult for him, but he read it in a couple of days and still talks about it years later. Get it here. Narnia series by C.S. Lewis – A childhood classic in our home, it’s great to read aloud or discuss after each book so they don’t miss the allegory! We don’t let them watch any movie version until they’ve read the books. This is one of those series that tends to get read to pieces, so we recommend you buy a cheaper edition. 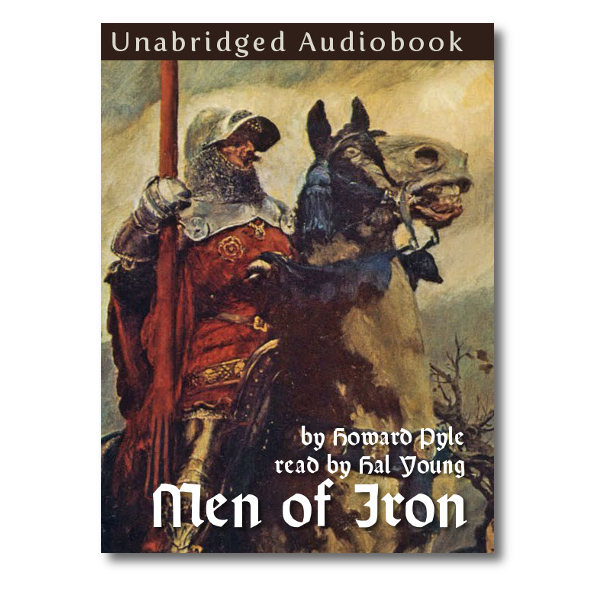 Men of Iron – Young Myles Falsworth was determined to restore the good name of his father and his family, even though it meant proving himself against the greatest knights in the land. 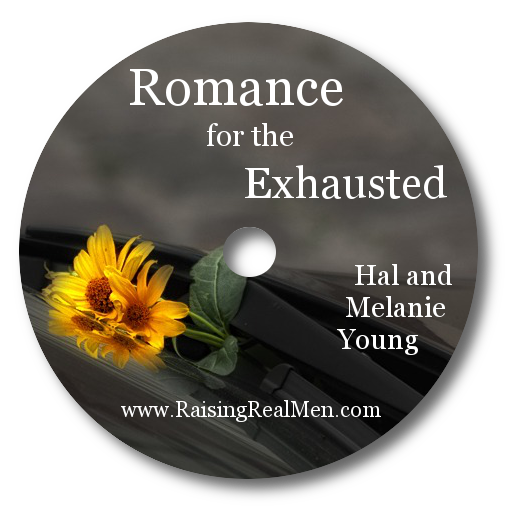 A classic coming of age story we turned into an audiobook. The Phantom Tollbooth by Norton Juster – An amazing math allegory; Join Milo, an apathetic young man, as he journeys to strange lands by way of a magic tollbooth, encountering Tock, a watchdog, a divided kingdom, unabridged kings and Mathmagicians, small giants and large midgets, Kakafonous Dischord and his Awful Dynne, Spelling Bees and Humbugs as he endeavors to return Rhyme and Reason to the fair city of Wisdom. A fantastic and funny story, much loved by our guys. Find it here. The Space Trilogy by C.S. Lewis – Really not science fiction at all, but more allegorical fantasy, this one is probably better for your older teen sons as deeper meanings abound. A favorite of our guys – they enjoy enjoy discussing them! Look here. 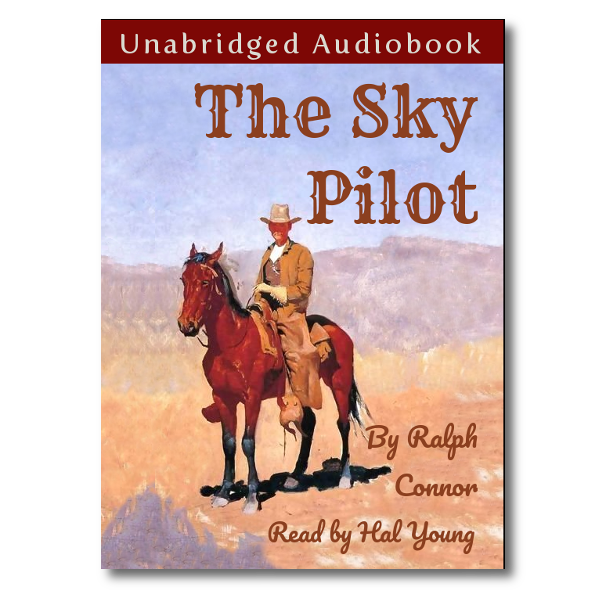 The Sky Pilot – We were reading a book written in the early 1900s which mentioned The Sky Pilot as if of course everyone would know it. We had to find it! It is a real treasure that sold over a million books in 1899. It’s the story of a missionary to the settlers and cowboys of western Canada who has to prove his courage and his love to win the tough men of the West. Another great audiobook! The Cowboy Sam books by Edna Walker Chandler – For the youngest readers, these limited vocabulary cowboy stories are guaranteed winners. Out of print. If you see them, buy them. And sell them to us if you don’t love them! There are a few here. The Billy and Blaze books by C.W. Anderson – Just a tiny bit harder than Cowboy Sam, these books will drive a reluctant brand new reader to try his best. Great. Get them here. And if they read all those, they’ll have some great stuff tucked away in their minds! Got any additions to our list? If you are new, welcome aboard! 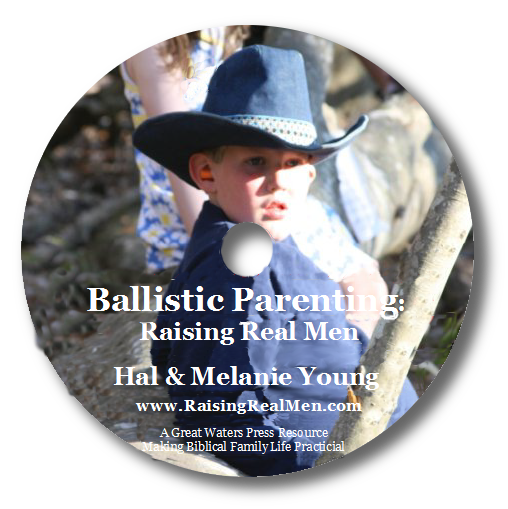 You can unsubscribe at any time by emailing unsubscribe@raisingrealmen.com or use the link at the bottom of each message. The Kingdom Series by Chuck Black (homeschooling dad) Allegory to the bible. The “Bible in Living Sound” is an excellent audio drama. Very scripturally accurate and entertaining as the bible comes to life! My kids beg to listen while we travel about. 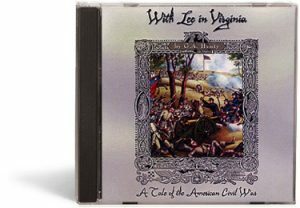 $8.99 download on Amazon. Thank you for this list! Do you think you could list appropriate age ranges next to the books that don’t have them listed yet? I want to add them to my book lists by age level. Thanks so much! 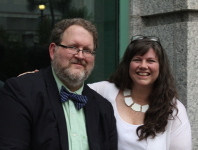 as a mom of many boys I’d add the Wingfeather Saga by Andrew Peterson and the 100 Cupboard series by ND Wilson (Doug Wilson’s son)…both rank up there with Narnia and Lord of the Rings books with our now grown kids. We LOVE the Wingfeather Saga! Hank the Cowdog by John R Erickson is fantastic! My husband read them as a boy and now I read them with my boys. They love the characters and giggle along. (They’re 5–twins–and 3). They are fun but also teach good lessons about courage, honestly, a strong work ethic and integrity. I really enjoy them, too. What do you think of Indian in the Cupboard? It has been a long time since I read it. I always liked, The Great Brain series, Encyclopedia Brown books, Soup and Me, Charlie and the Chocolate Factory, Great Glass Elevator, The Hobbit, Huckleberry Finn, How to eat Fried Worms, Blubber, 4th Grade Nothing, Ray Bradbury, Hardy Boys, Charlotte’s Web, Time Machine,Then-Again-Maybe-I-Wont, Edgar Rice Burroughs, Catcher in The Rye, Of Mice and Men, The Pearl…. 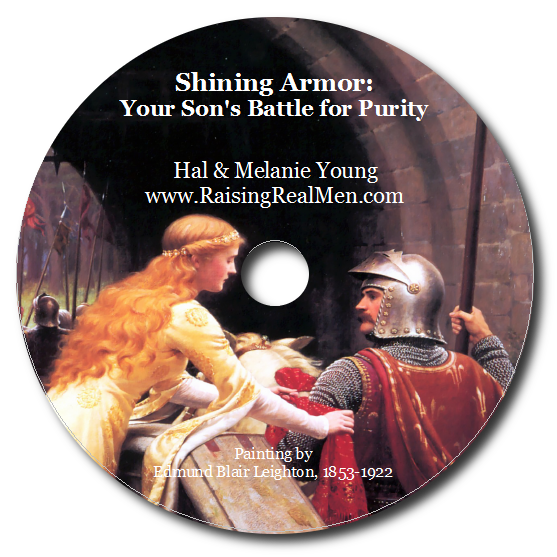 Give a look at The MANAUL TO MANHOOD. 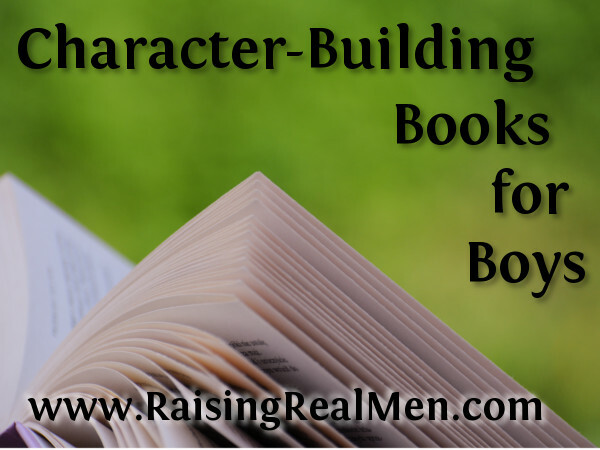 The book is all about skills and character development for young men in the making.